John Coyle and Gary Coyle, The Dock, Carrick-on-Shannon, 10 September – 12 November ‘Now Came Still Evening On’ is a unique exhibition presenting the work of father and son John and Gary Coyle. 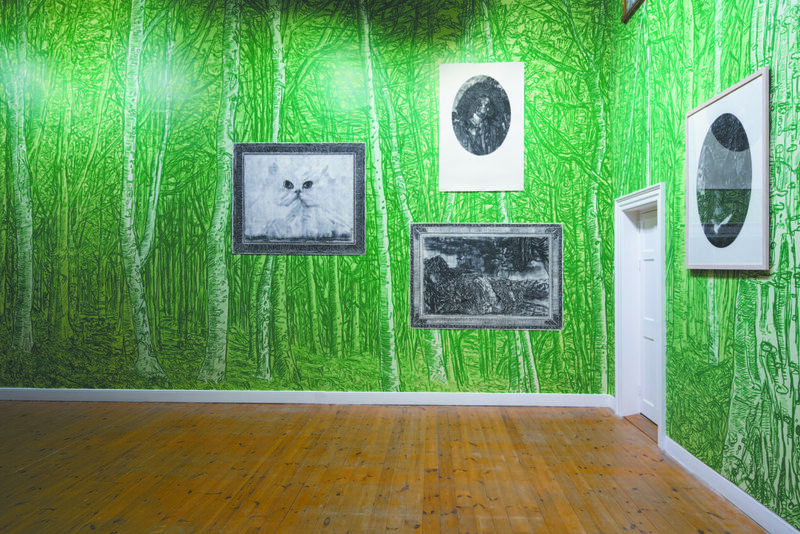 John’s intimate paintings occupy The Dock’s light and airy Gallery One while Gary has created a vast immersive installation in the largest of The Dock’s three galleries. John Coyle’s paintings and drawings depict scenes and people close to his studio and home. The works have a conciseness and authority clearly developed over a long career. They are reminiscent of the intimiste paintings of Vuillard and Bonnard, and of works by their more northerly descendants in Dublin and London.